To Sum It Up: Tessa Gray travels to England from New York to be reunited with her brother after their aunt dies. Her brother Nate, is the only other family that Tessa has left. Things go awry when Tessa is kidnapped by the sinister Dark Sisters. During her imprisonment, Tessa learns of an incredible power that she has always possessed. When Tessa is rescued by the Shadowhunters, a group dedicated to fighting demons, she must put the world she has always known behind her and join the one that she has always belonged to. Review: Set in Victorian England, Clockwork Angel is filled with wonderful surprises. As a huge fan of Jane Austen and other classic authors, I loved the setting. However, it had a dark twist with classic monsters, including vampires, werewolves, and demons, as well as some new ideas such as the Shadowhunters. Although the setting limits women in the mortal world, the women in the supernatural world are not stuck with such limitations. Tessa and Charlotte are kick-arse! One of the biggest things that makes or breaks a book for me is the characters, and Cassandra Clare did a phenomenal job with her characters. Tessa is a fierce and courageous heroine who rarely lets the reader down. Charlotte, head of the London Institute, is just awesome; I don't even know how to describe her. Henry, Charlotte's husband, reminds me of Arthur Weasley from Harry Potter, and it's impossible not to love him. Will and Jem are a whole different story; I love them both sooooo much! They are both tortured souls, and although they are complete opposites, they find comfort in each other, making them as close as brothers. I still can't decide who I favor—it’s too hard! I love my paranormal books, and this one takes the cake. It just doesn't compare to other books that I've read lately. I love the whole concept, and the plot is so good, you are always on the edge of your seat. Everything about it is awesome. I found this review hard to write because there was so much to say, but I didn't want to give anything away. All in All: I haven't read the Mortal Instruments series, but you really don't need to in order to enjoy this book. I can't put into words how much I loved this book! You have to read it! It's the kind of book that leaves you sad because it's over. 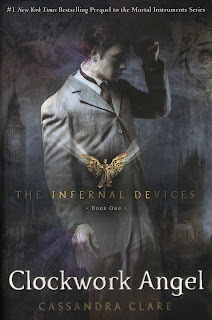 I love The Infernal Devices! Honestly, I enjoyed this more than The Mortal Instruments. I heard if you read one series of the Shadowhunters, you will most likely love one and hate the other. Not exactly true. Oh, it sounds so great!!!! 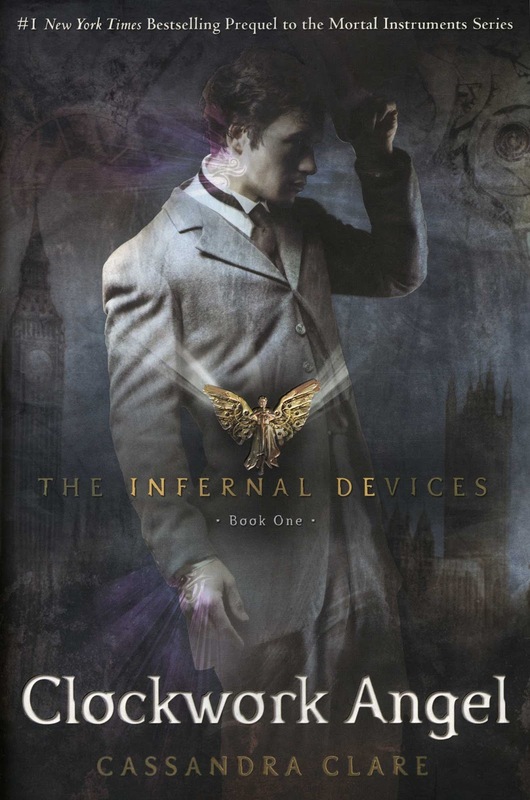 I have been seeing The Infernal Devices Trilogy everywhere, I know everyone is waiting for Clockwork Princess. I still havent read any of them, but I plan to. And I just picked up one of her other books, The first in the Mortal Instruments books!! This is my favorite Clare book, by far. I loved it! Glad you did too! I really like this series! I just finished the 2nd one on Saturday. I'm glad you liked it too and was able to understand it even though you haven't read TMI yet. You need to read TMI, too! They are AWESOME! You also need to read Clockwork Prince. To me, Clockwork Prince is better than Clockwork Angel!